180 in stock Need More ? WINNER OF THE CILIP CARNEGIE MEDAL 2017It's early 1945 and a group of people trek across Germany, bound together by their desperation to reach the ship that can take them away from the war-ravaged land. Four young people, each haunted by their own dark secret, narrate their unforgettable stories. Fans of The Book Thief or Helen Dunmore's The Siege will be totally absorbed. 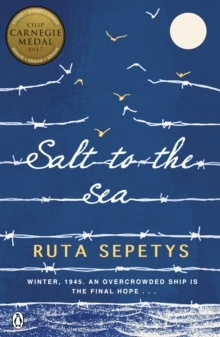 This inspirational novel is based on a true story from the Second World War. When the German ship the Wilhelm Gustloff was sunk in port in early 1945 it had over 9000 civilian refugees, including children, on board.